I was initially interested in exploring some aspect of revisionist history after hearing a report about a lesser-known dictator. The picture painted of the man was hardly representative of the “true” history. This then led me to think about plastic surgery and body modification and how people change their appearance for various reasons, but never change other aspects of their life (their terrible personalities, addictions, extreme bias, etc). 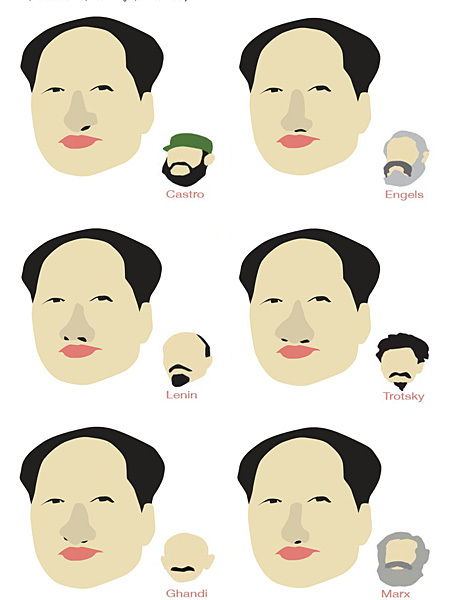 I then started writing this fictitious narrative weaving the two ideas together that Chairman Mao did in fact hate his own nose and wanted to have it altered though never found the time (this is how my easily-distracted brain works). 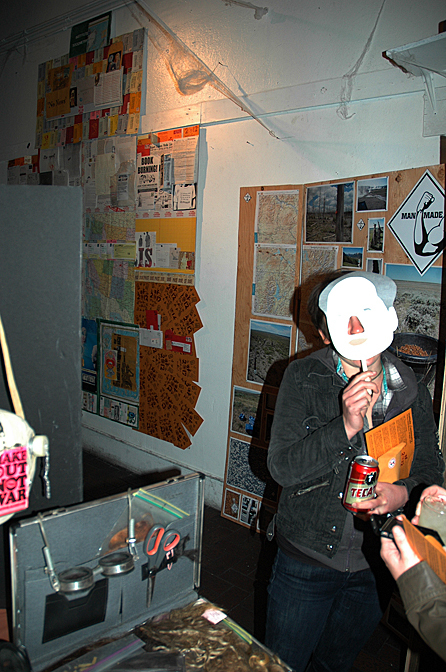 Then came a website with The Nose Vote, ‘zine with carnival mask, thesis exhibit to confused and/or bemused Communication Designers and display at iSFair 2O12! 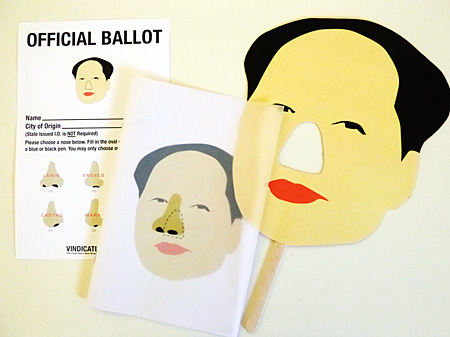 ThIS report was on display and a final Nose Vote were conducted at iSFair 2O12. 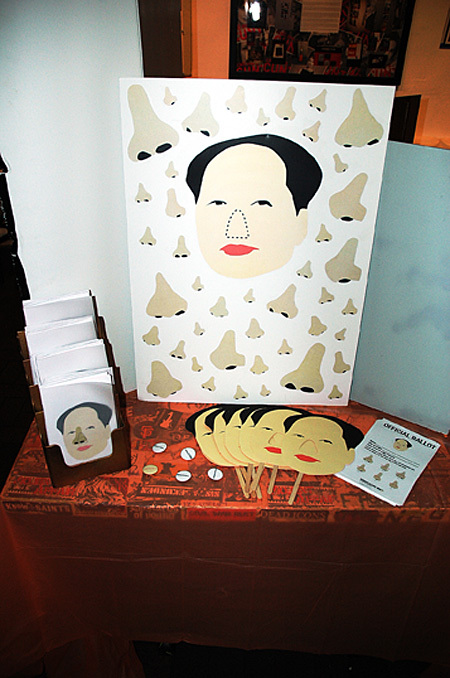 The Chairman Mao masks were the #1 hottest item at the fair.